HONOLULU – Gov. David Ige today announced the appointment of First Circuit chief judge Derrick H.M. Chan to the Intermediate Court of Appeals to fill the vacancy created by the retirement in December 2016 of former Associate Judge Daniel R. Foley. 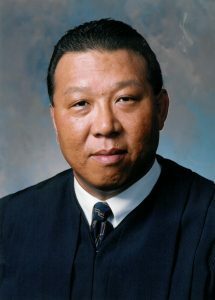 Chan, 61, was appointed as a Circuit Court Judge on Aug. 25, 2000. Prior to this he was the First Deputy Prosecutor for the County of Kauaʻi. He also served as an attorney for the Hawaii Carpenters Union, as Deputy Public Defender for the state, law clerk to Judge Wilfred Watanabe, and Deputy Attorney General for the state. Chan is a 1985 graduate of California Western School of Law. “I’m honored that the governor has the confidence in me to fill this position. His nomination will allow me to continue serving the people of Hawaiʻi. I look forward to meeting with senators and the Hawaii State Bar Association during the confirmation process,” said Chan. Gov. Ige selected Chan from a list of six nominees provided by the Judicial Selection Commission on January 4. The Intermediate Court of Appeals (ICA) is the court that hears nearly all appeals from trial courts and some state agencies in the State of Hawaiʻi. The ICA is composed of six judges who sit on panels of three. “In his years on the bench, Judge Chan has adjudicated cases in both family and drug courts, in criminal and civil trials, and in probate court. As an attorney, he represented individuals, organizations and the state. I have full faith in his ability to continue his service in the judicial system at the Intermediate Court of Appeals,” said Gov. Ige. Chan’s appointment is subject to senate confirmation.